The Position Light: What's Up with the Reading and Northern? The Reading and Northern has been a rare bright spot in the world of signaling. A commitment to its Reading heritage has resulted in numerous signaling structures being preserved along with attempts to install "classic" signaling where new signaling is being installed on its mostly unsignaled territory. The R&N also controls the former Conrail Lehigh Line and for one reason or another has decided not to touch the surviving LVRR signaling along that route. Still, I am still not completely clear on the full extent of the R&N's signal preservation efforts as hinted at in a number of photos I have come across. We begin near the town of Mach Chunk where the R&N runs a tourist operation in the Lehigh Gorge. i have bicycles along the right of way a number of time and I never noticed this cantilever mast and its freshly painted (albeit turned) signals. Is this a sign of a new interlocking or signaling project? Pottsville is the location of some preserved Reading signal bridges and a tower. Both have been out of service for decades, but then I find a photo showing what appears to be a lit Reading US&S three headed signal displaying a restricting indication. Could be that the photographer is having some fun with Photoshoppe, or it could be another R&N instance of an "island" interlocking designed to eliminate the need for crews to hand throw switches. Clearly I need to take another field trip to the area, but if anyone has any information (or photos) please let me know. 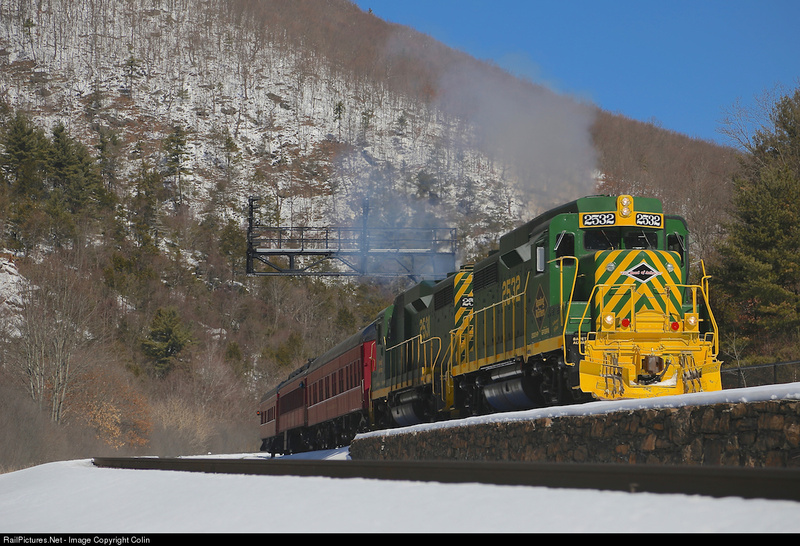 Yes, that dual Signal Cantilever was taken from Schuylkill Haven and refurbished and placed into service as part of the new CP COAL Interlocking aptly named for the nearby town of Coalport. This new interlocking controls R&N connector feed track and switch from Nesquehoning Jct onto the NS Lehigh Line. Be aware, that R&N is constructing a new Y connector bridge over the Lehigh River. The switch at Nesquehoning Jct as well at the Y connecting point northwest along the old CNJ into Nesquehoning and the other apex connecting point at the old Lehigh Valley overpass will make up the new Y along with the new bridge. Expect the R&N to make all 3 points new CP Interlockings as NS will also use the new route to get to Reading & Philadelphia directly off the Lehigh Line. Coming attractions for 2016. 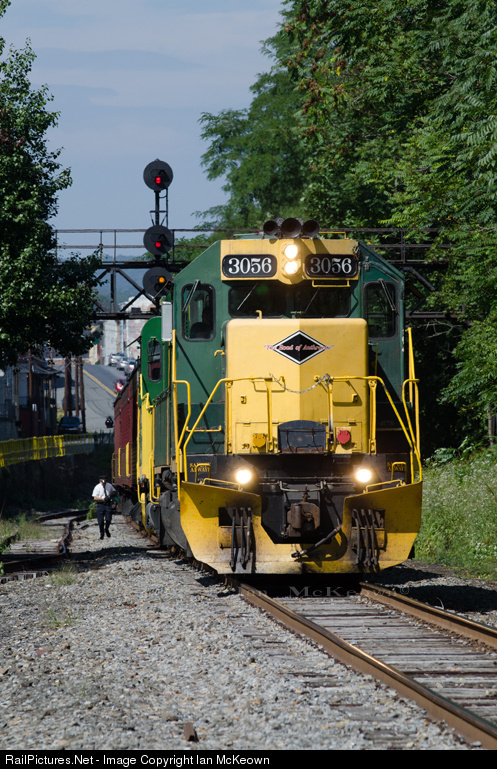 Also, R&N is talking about a new signaled controlled passing track siding midway between Port Clinton and Reading. Believe they will leverage the siding that's already in place (don't know name of that area, but, between two grade crossings). Could see even more new R&N signaling if Distants are added to the mix as well. Thank you for the information! I knew something was up with them. Mike - Have updates with pics for R&N. Can share them with you but not sure of best way via e-mail or blog address. Can you provide and I can forward what I have? You can drop a line to sturmovik@gmail.com Thanks!